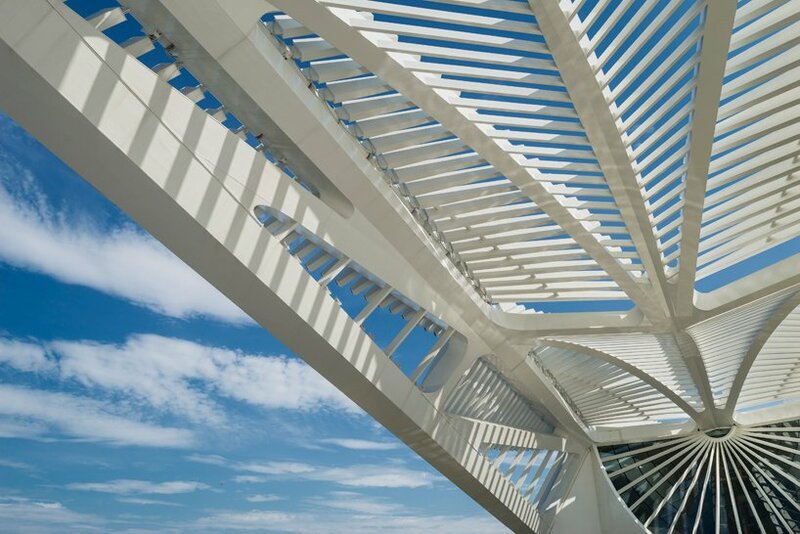 Architecture Of New Museum of Tomorrow By Santiago Calatrava, a Spanish architect. 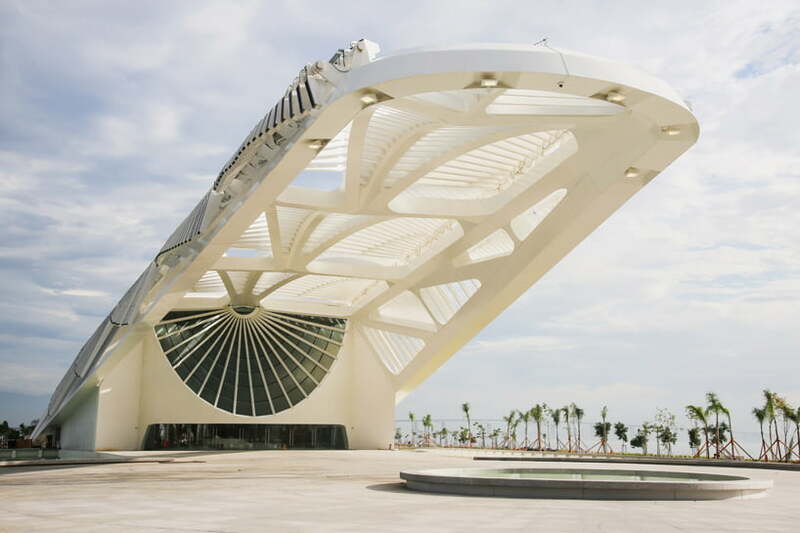 The museu do amanhã (the museum of tomorrow) is set to open. It’s doors in Rio DE Janeiro’s burgeoning Puerto Maravilha neighborhood. This Museum of Tomorrow Building plan: Conceived as an innovative cultural space addressing the future of the planet. 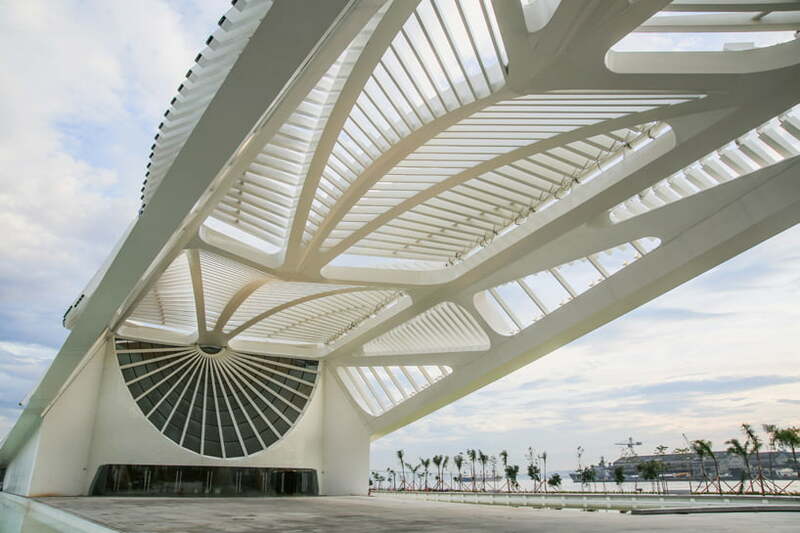 The design of the museum of tomorrow is influenced by local Brazilian culture. 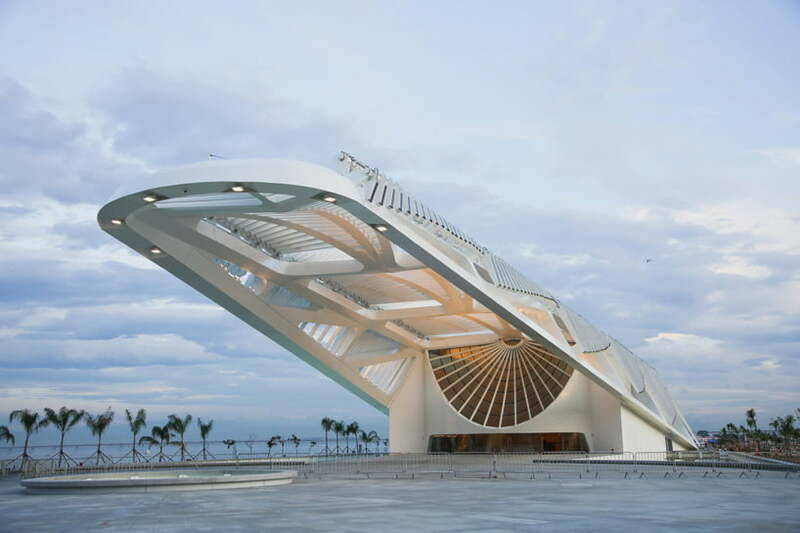 Through its Brazilian architecture, explores the relationship. Between the city and the natural environment. What is the Location Of Museum of Tomorrow’s Complex? 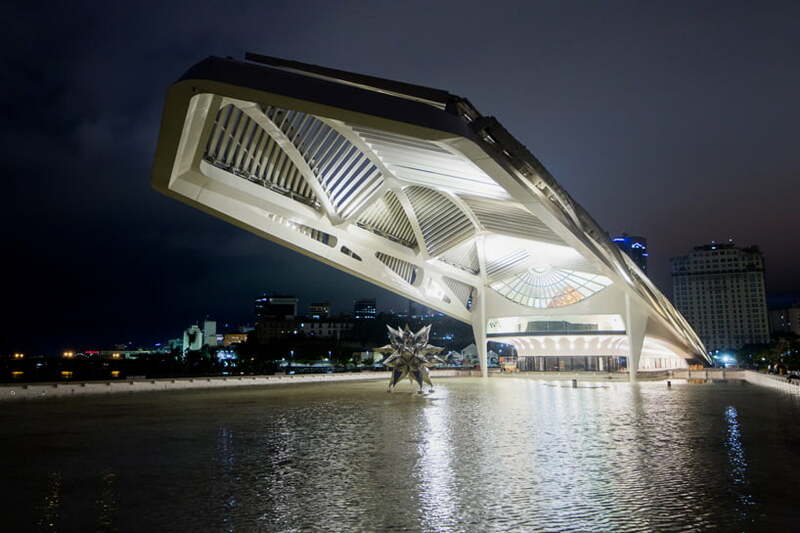 The museum of tomorrow in rio institution includes 5,000 square meters of temporary and permanent exhibition space. As well as a 7,600 square meter plaza. That wraps around the structure and extends along the dock. The museum of tomorrow plan boasts large overhangs 75 meters in length on the side facing the square. And 45 meters in length on the side facing the sea. These architectural features highlight the extension of the museum from the dock into the bay. The permanent exhibition is housed upstairs. And features a roof 10 meters high with panoramic views of guanabara bay. The total height of the museum building is limited to 18 meters. Which protects the view of the bay from sao bento monastery. A UNESCO world heritage site. The city of rio de janeiro is setting an example to the world. How to recover quality urban spaces? Through drastic intervention and the creation of cultural facilities. 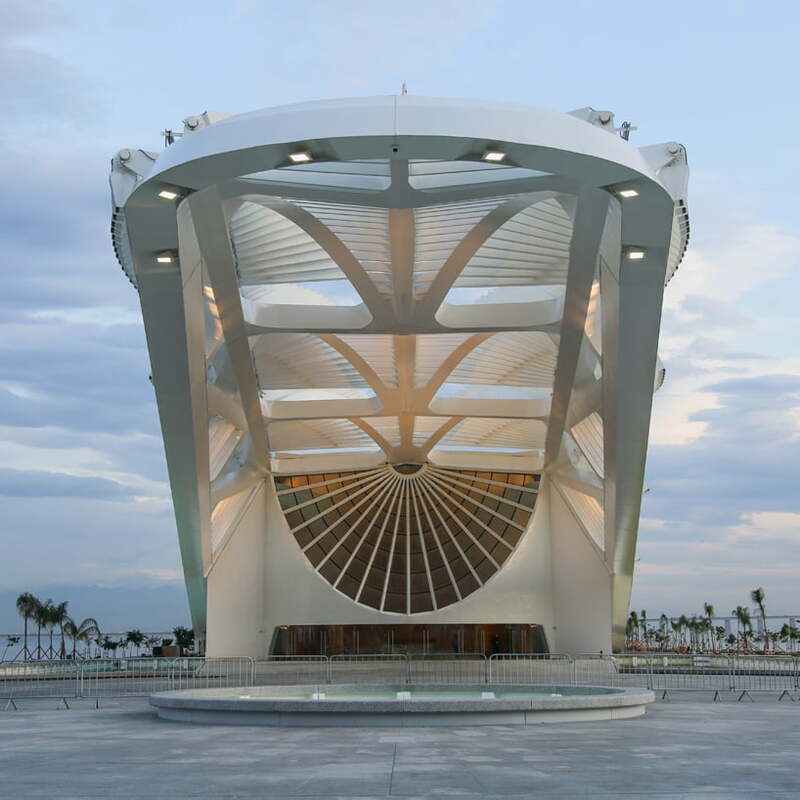 Such as the museum of tomorrow and the new museum of art, explained santiago calatrava. This vision led us, in our first designs. To propose the addition of a plaza outside the museum. The plaza creates a more cohesive urban space. And reflects the neighborhood’s greater transformation. The cantilevering roof with its large mobile wings and the facade structure. Expand almost the full length of the pier. To emphasizing the extension into the guanabara bay. A reflection pool surrounding the building: Used to filter water that is being pumped from the bay. And released back in from the end of the pier. That is gives visitors the impression that the museum is buoyant. The idea is that the museum of tomorrow building feels ethereal. Almost floating on the sea, like a ship, a bird or a plant. Because of the changing nature of the exhibits. We have introduced an archetypal structure inside the building. 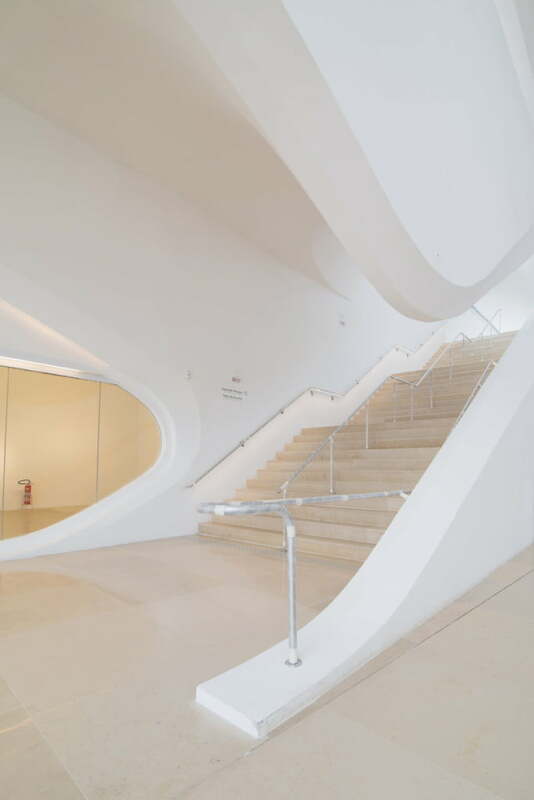 Simplicity allows for the functional versatility of the museum. 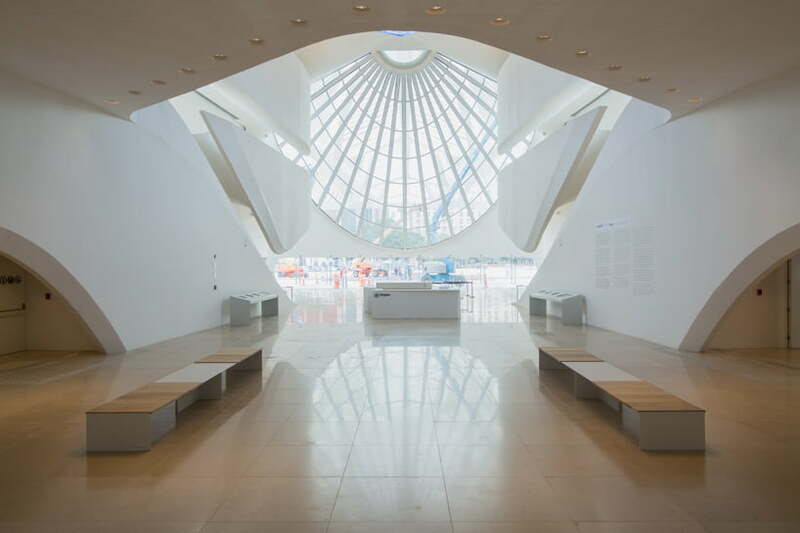 Able to accommodate conferences or act as a research space,’ continued calatrava. The building of museum of tomorrow is orientated in the north-south direction. Off-center from the pier’s longitudinal east-west axis. To maximizing a continuous landscaping feature. That are containing gardens, paths and leisure areas along the southern length of the pier. A park walkway around the perimeter of the pier will allow visitors to circumnavigate the museum. While enjoying panoramic views of the sao bento monastery and the guanabara bay. The lower level contains functional and technical rooms. Such as the museum’s administrative offices, educational facilities, research space. An auditorium, a museum store, a restaurant, lobby, archives, storage and a delivery area. 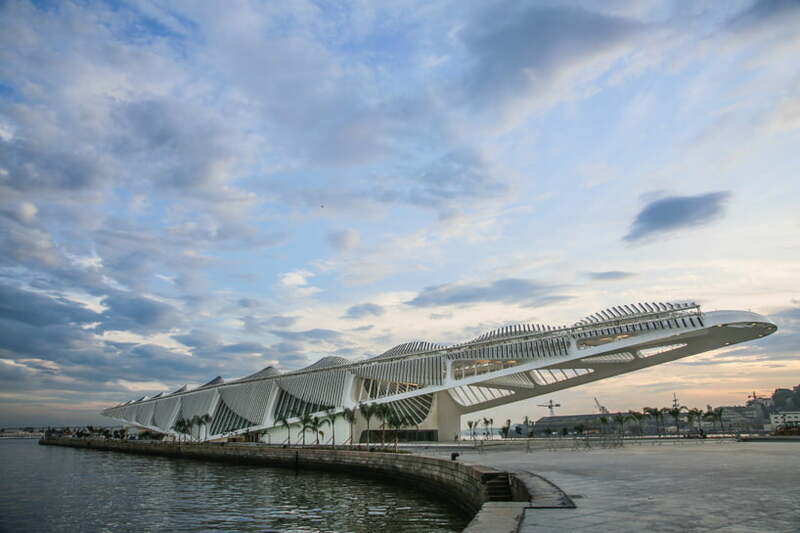 Located on the maua pier, the museum of tomorrow is part of a larger revitalization of the porto maravilha neighborhood. The building includes sustainable design initiatives. Incorporating natural energy and light sources. Water from the bay is used to regulate the internal temperature of the building. A source that also supplies water for the museum’s surrounding reflecting pools. Photovoltaic solar panels are also used. Which can be adjusted to optimize the angle of the sun’s rays throughout the day. And generate solar energy to supply the building. What is the Purpose Of The Museum Of Tomorrow Building? The permanent exhibition is curated by physicist and cosmologist luiz alberto oliveira and designed by ralph appelbaum. With the artistic direction of andres clerici. So, Wingers, Whats your thoughts about this, New Museum of Tomorrow By Santiago Calatra? Have a thoughts on it? Must share with us. 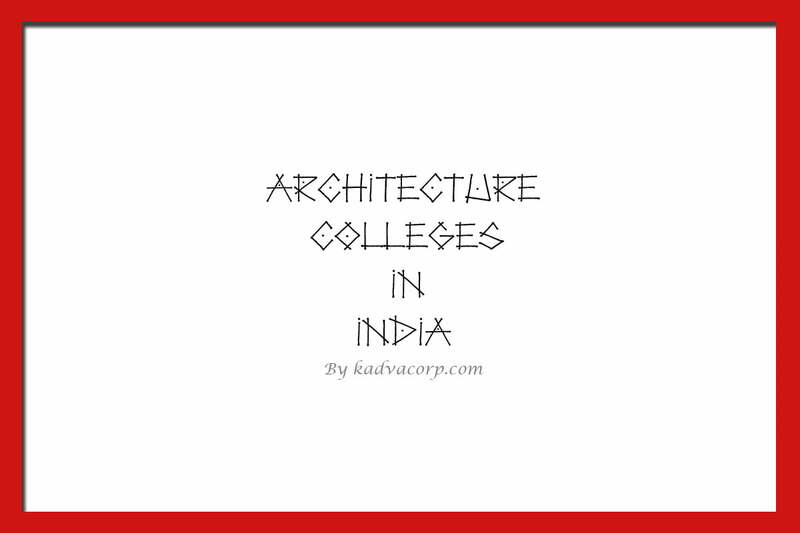 What is Organic Architecture Concepts Characteristics and Definition?